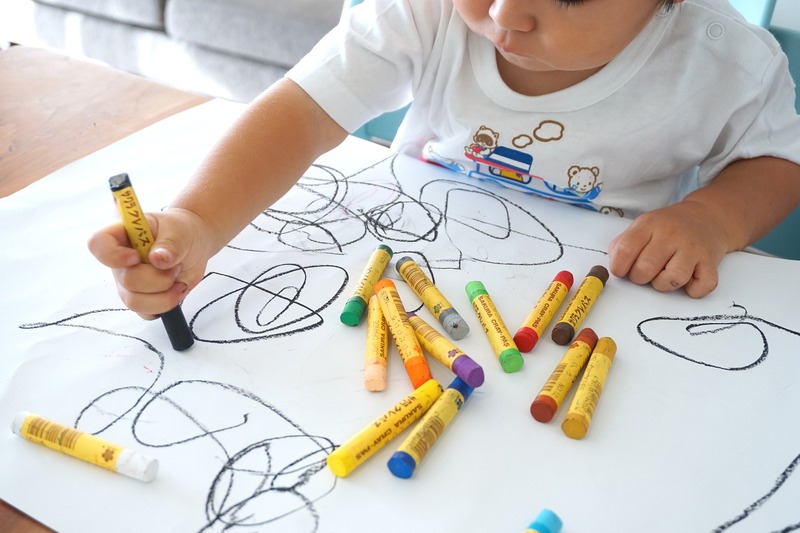 Even if your kid isn’t exactly a mini Picasso or Warhol, every parent loves to see their child draw cute family pictures. However, when Penny Rohleder’s five-year-old son, Julian, presented her with his latest family portrait, she was quite surprised at what she saw. Julian’s latest sketch of his mum was not exactly your standard stick-woman, as in the picture Penny is on her period. Julian drew a family portrait (forgot Mayanna and Arlyn) but I said to him ‘what’s that red thing on me?’. He said ‘that’s your period’. Rather than feel embarrassed, Penny saw the funny side of things and was proud of her son, even though people in the comments were calling the drawing ‘inappropriate’. When I first saw the drawing and realised that it included my period, I was in hysterics. It was such an innocent, honest thing for a young child to come out with. I shared it because it was funny, but I was also proud that my five-year-old knows what a period is, when some fully grown men do not. It’s such a taboo subject for many adults, especially men. Women too, are embarrassed about their bodies and I have absolutely no idea why. When Penny became ill with a a pulmonary embolism in October 2016, she was put on a blood thinning treatment that means she often has to act urgently when it comes to her period. Penny had to change pads in front of Julian, inspiring the drawing, and – predictably – she is also being criticised for this online. Many people have commented that it’s not a normal thing for me to change my pad or tampon in front of my kids. But when you’re on blood thinners and get your period, it can be horrific and very messy and urgent. I can’t help that. We have one toilet in our house, and what else was I supposed to do, bleed everywhere? It’s a topic I guess that came up with my kids out of necessity. It’s admirable to see a young boy accept the normality of periods, and hopefully Julian’s approach to a bodily function will one day become the norm.